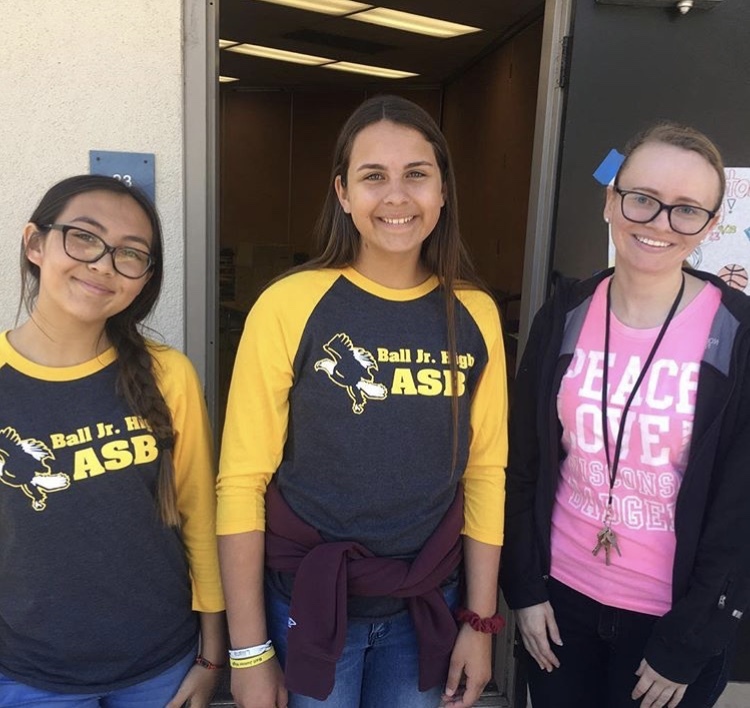 The week of November 5th-9th, Ball Junior High’s Restorative Justice Specialist, Chelsea Stephens, led the school’s first annual Anti-Bullying Week. This week was designed to bring different student groups together and raise awareness for an issue that is becoming increasingly common on campuses across the country. 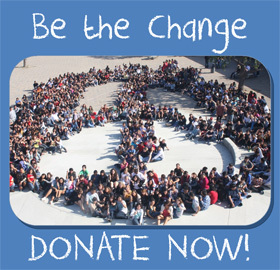 With help from the Associated Student Body (ASB ), Chelsea planned daily community-building activities that took place during lunch and homeroom. 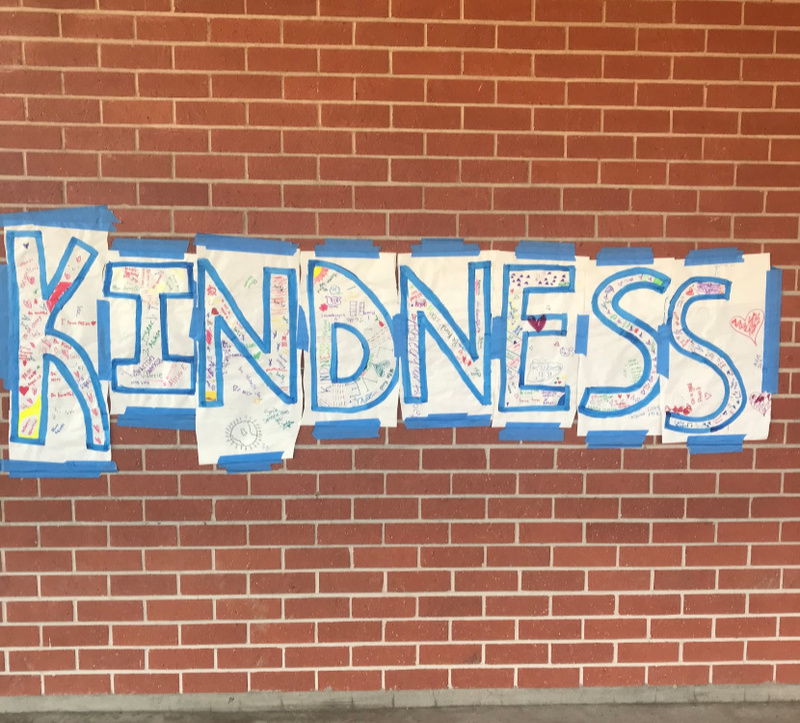 Students from special education classrooms and the art club helped promote the week by creating posters, and the Memory Book (yearbook) class created a video announcement to advertise the week as well. Students posted messages of kindness, practiced trust falls and used teamwork to untie themselves from a human knot without breaking the chain! Over the course of the week hundreds of students and staff members took place in the activities, which all built up to Friday’s activity. 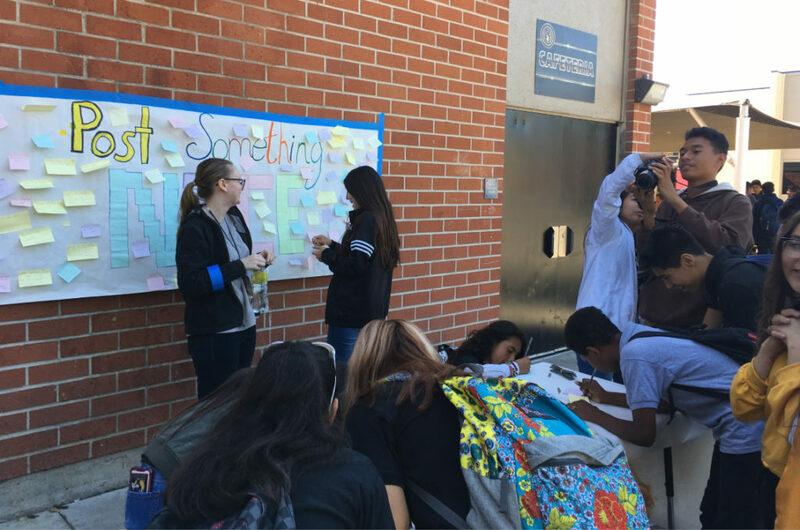 On Friday, students and staff were invited to sign a pledge to stand up against bullying, and anyone who signed received a rubber bracelet to help identify them as advocates for students who are victims of bullying. Congratulations to the students of Ball Jr. and to Chelsea!